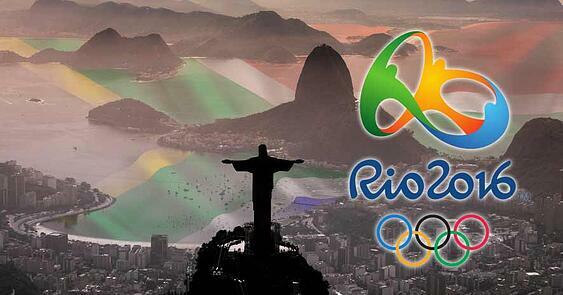 If you're still living on planet Earth, you're likely well aware that the 2016 Olympics have begun in Rio de Janeiro. Over 200 countries from around the globe have come together and at the time of this being published, the United States leads in medals with China trailing close behind. But isn't everyone who made it this far already a winner? 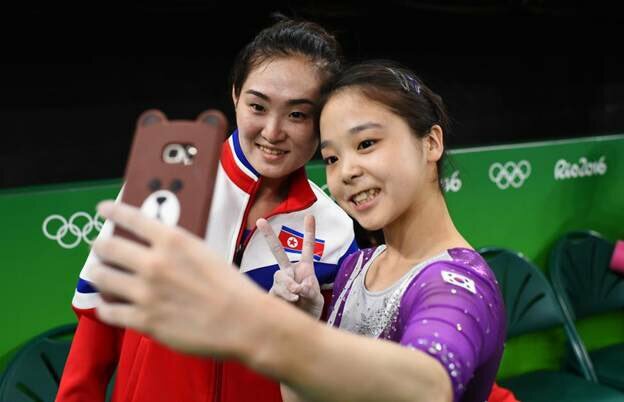 "This is what the Olympics is about. Different people with different lifestyles from all around the world coming to compete against eachother in the things they love. It's beautiful." 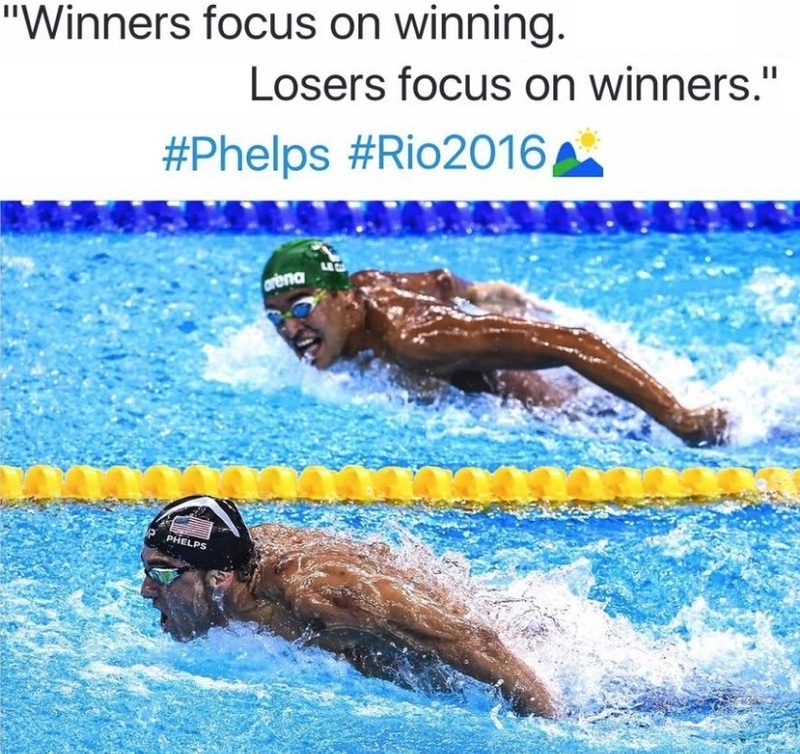 Speaking of differences, these two images powerfully portray the physical and cultural differences of the world's top athletes. 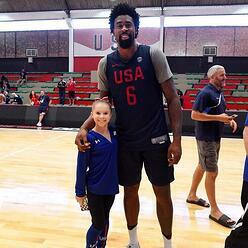 Pictured left, Team USA Gymnast Ragan Smith (4'6") and Basketball Player Deandre Jordan (6'11"). 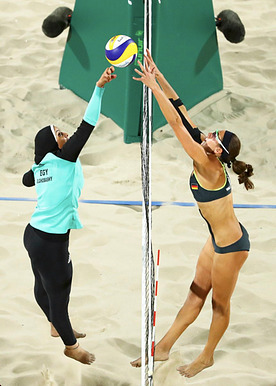 And on the right, Egypt versus Germany in Women's Beach Volleyball. 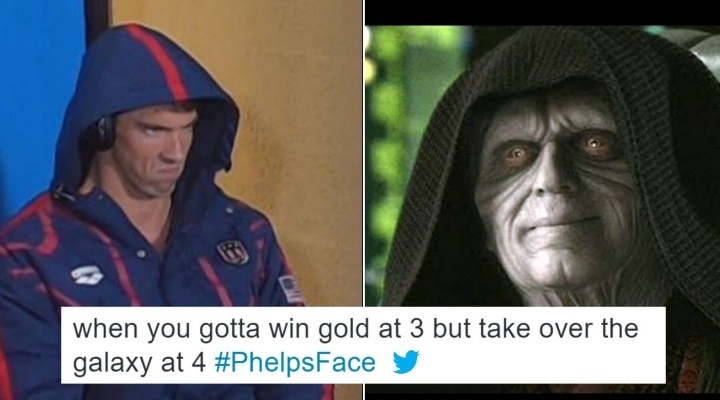 Following along with the Rio Olympics? What's your favorite sport to watch?